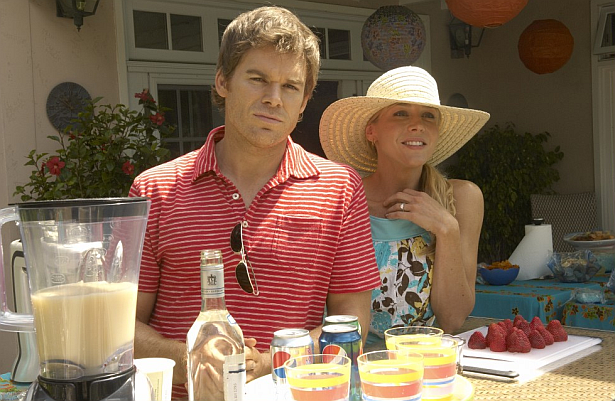 Dexter Daily: POLL: If Rita Ever Learned About Dexter's Secret, What Would She Do? POLL: If Rita Ever Learned About Dexter's Secret, What Would She Do? Rita's shocking death in the season 4 finale of Dexter left us with our jaws on the floor. Back in the third season and after an episodic divorce from the ex-husband Paul Bennett, Rita decided to marry Dexter. If she ever learned about her husband's dark secret how would she react? Vote in our poll below and discuss in the comments! If Rita ever learned about Dexter's secret, what would she do?